Crystal Growth & Design publishes theoretical and experimental studies of the physical, chemical, and biological phenomena and processes related to the design, growth, and application of crystalline materials. Synergistic approaches originating from different disciplines and technologies and integrating the fields of crystal growth, crystal engineering, intermolecular interactions, and industrial application are encouraged. 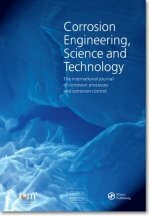 ACS Applied Materials & Interfaces is being launched with the goal of becoming the international publication of choice for the interdisciplinary community of chemists, engineers, physicists and biologists focusing on how newly-discovered materials and interfacial processes can be developed and used for specific applications. The journal will publish full length articles and letters from researchers in academia and industry in addition to featuring comments and forums dedicated to advancing applied materials research. 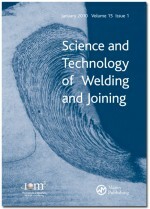 Science and Technology of Welding and Joining is an international peer-reviewed journal covering both the basic science and applied technology of welding and joining. The atomic and nanoscale structure of materials used as catalysts significantly influences their performance; and correlating structure with activity is crucial for catalyst optimisation and innovation.